As the leader in fully integrated Records and Information Management, we have been successfully managing and protecting essential information and records at the heart of Public Sector and Private organisations for over 35 years. This experience has allowed us to effectively deploy solutions that guide and inform budgeting, management and decision making through all Government Departments. at the heart of Public Sector and Private organisations for over 35 years. management and decision making through all Government Departments. Real time quantitative analysis of complete/incomplete Records and Information. 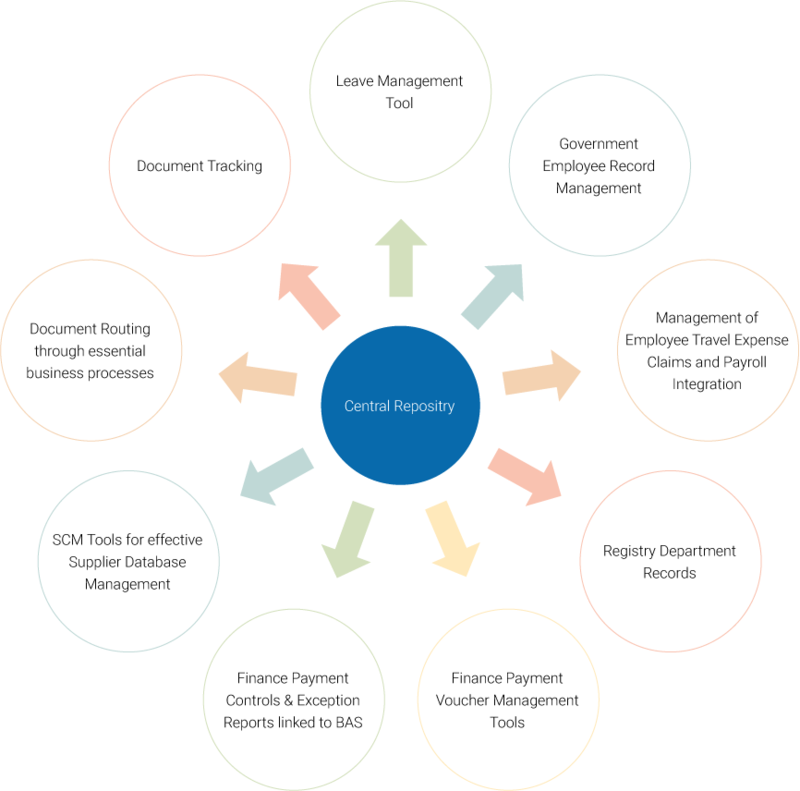 Reliable Decision-making Digitisation of Records to enable secure collaboration. Standardised meta data for ease of access and sustainable business practises. when you need it, and in the format you need it, thereby reducing your risk and improving efficiencies. Our digital offers will keep vital government functions and responsibilities moving forward while saving staff time and eliminating costs, allowing government to meet today’s challenges by digitising paper documents and automating processes surrounding them. Since we store documents digitally, government agencies can further their transparency efforts by publishing contracts & tenders and providing access to contracts & tenders for collaboration and citizen input. Case Management can further citizen interaction and citizen services can be driven entirely via smart services.